Pioneers in the industry, we offer pivot pin and kick pin from India. 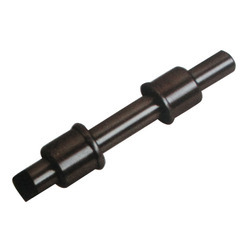 We are offering our customer a wide range of Pivot Pin, which are manufactured from high grade quality raw materials. These Pivot Pin Set are renowned for features like accuracy and durability. 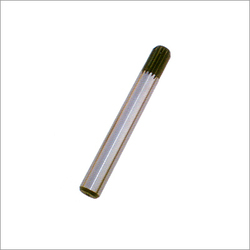 Kick Pin are widely used in the sugar industry. Links have generous sliding surfaces to resist wear. Wear shoes at the open end of the link support the chain and lesson the loads on the pin. Thereby reducing joint wear. Slots cast in the lugs protect the pin ends & prevent pin rotation. Links have outboard lugs for operation on double sprockets to prevent the jamming of bagasse in the link pockets. Looking for Industrial Pin ?